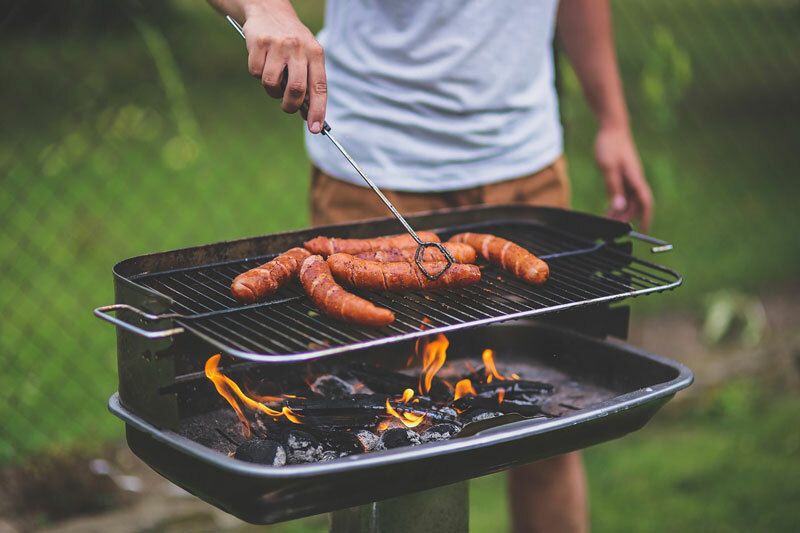 Barbecue safety tips to keep you & yours from harm! As the weather warms up, springtime entertaining begins. Ensure that your next barbecue runs smoothly and safely. Avoid grilling mishaps and check out these barbecue safety tips. Your grill could pose a safety risk. Be sure to keep your barbecue away from any structures or flammable items. Your barbecue should be at least ten feet away from your home. Additionally, be sure to keep children and pets away from the grill. Fire and curious little ones are not a good mix. As your cook on your grill, meats drip fat and leave grease all over your grill. While it may not seem like a big deal, the fat and grease on your grill have the potential to start a grease fire. Be sure to scrape off grease before and after you grill to ensure that you stay safe. If you have a propane gas barbecue, ensure that there aren’t any leaks. Not only is the gas poisonous if too much is inhaled, but it adds fuel to the fire. Examine the hose and the gas connections. Try using the bubble test to find any leaks. Use a soapy solution to rub all over the hose. Turn on the gas but do not add any flame. If you see any bubbles on the hose, then you’ve sprung a leak, and you need to fix it before you start grilling. However, if there aren’t any bubbles, then you’re good to go. When you grill, you’re playing with fire. Ensure that you keep any flames under control and keep a fire extinguisher nearby. However, if flames get out of control, get to a safe area immediately and call the fire department. Ensure that you protect your home from grilling mishaps with the right homeowners insurance. For the best policies, contact the professionals at The Schwab Agency. Located in Colleyville, Texas, we serve all your insurance needs.